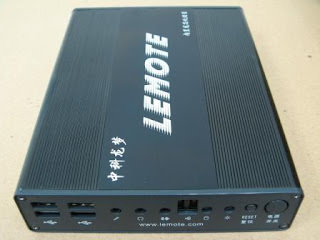 (SinoCast Via Thomson Dialog NewsEdge) BEIJING, Dec 11, 2006 (SinoCast via COMTEX) --Loongson PCs, with China's independently developed CPU, have received thousands of orders within one week after the developer started to accept purchase orders. Jiangsu Lemote Technology Corporation Limited, a joint venture between Jaingsu Menglan Group Corporation and the Institute of Computing Technology under Chinese Academy of Sciences, takes charge of the research and production of Loongson PCs. The computer is installed with Linux operating system. It can handle operations like Internet surfing and sending and receiving e-mails. However, programs like Ourgame and QQ game that are supported only by windows cannot be played. Loongson PC is installed with 2E CPU. It is sold at CNY 1,599 per unit excluding the monitor, keyboard and mouse. The first 1,000 Loongson PCs were ordered as soon as it was launched.